In the ongoing rebel offensive on Latakia, a new force on the regime side has come to light: namely, the Suqur al-Sahara' ('Desert Falcons'). Desert Falcons insignia (left), and an anonymous member of the brigade (right). 'Among these forces [that have emerged in the Syrian civil war] are the Desert Falcons that are fighting in Kasab and are considered the prong of attack and defence of the region especially at Point 45. They began operating in Homs and especially on the borders with Iraq to cut supply/aid paths between armed men in the two lands. These forces are considered among the elite of men fighting in Syria in support of President Bashar al-Assad, and there are fighting in its ranks members of military expertise, retired officers and members of the army, as well as volunteers from Syrian youth and age groups averaging between 25 and 40 years of age. The Desert Falcons forces have medium capabilities and arms as well as machine-gun fire, and the army supports it with artillery when necessary, but it specializes in setting up ambushes and carrying out difficult special assignments. Rather than a merely symbolic presence, the Desert Falcons are a real fighting force and are acknowledged by the Muqawama Suriya as an allied group in the fight to retake Kasab. Below are some more photos including martyrs for the group. 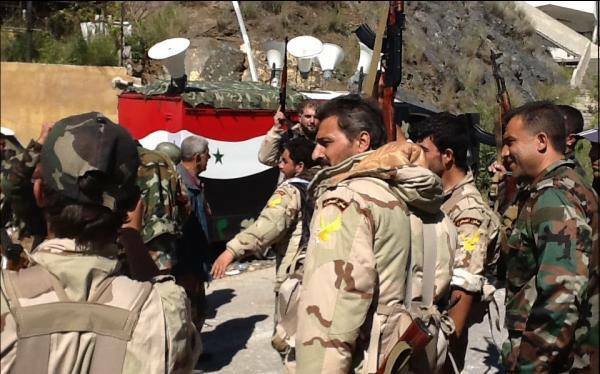 Members of the Desert Falcons with Syrian army soldiers in unspecified location. 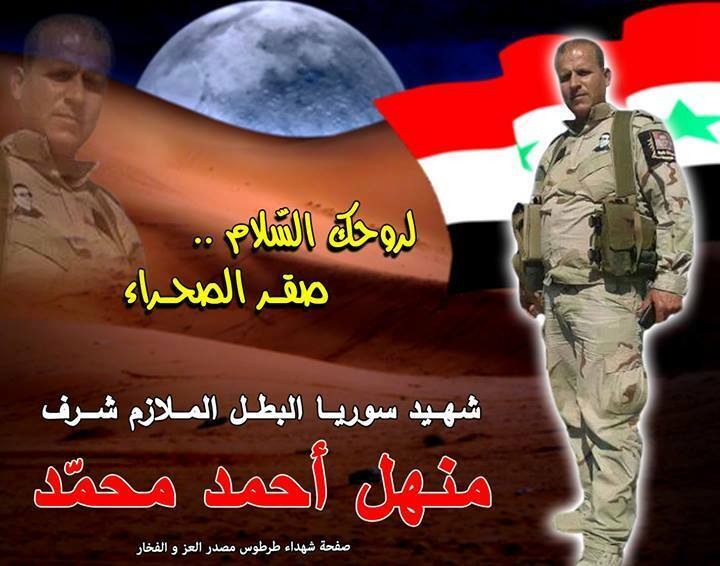 Manhal Ahmad Muhammad, a Desert Falcons fighter killed in the ongoing battle to retake Kasab. 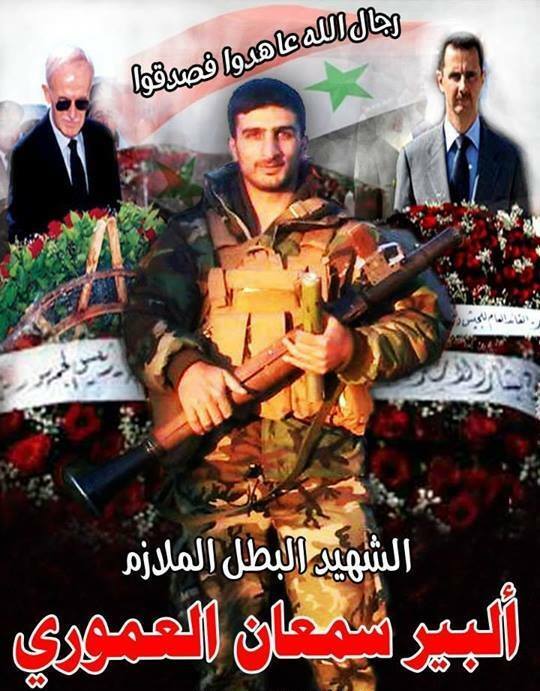 Albir Sama'an al-Umuri, a Desert Falcons fighter killed on 2 April 2014 in the Kasab area. 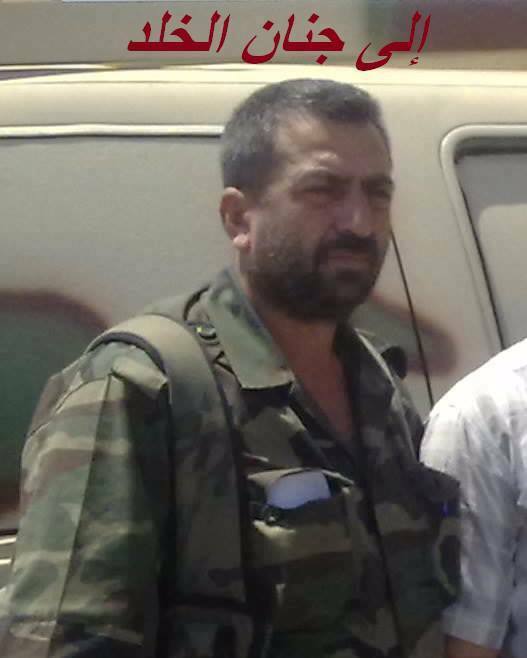 Brigadier General Harun, a Desert Falcons officer killed on 24 June 2013 in al-Quaryatayn, Homs province. 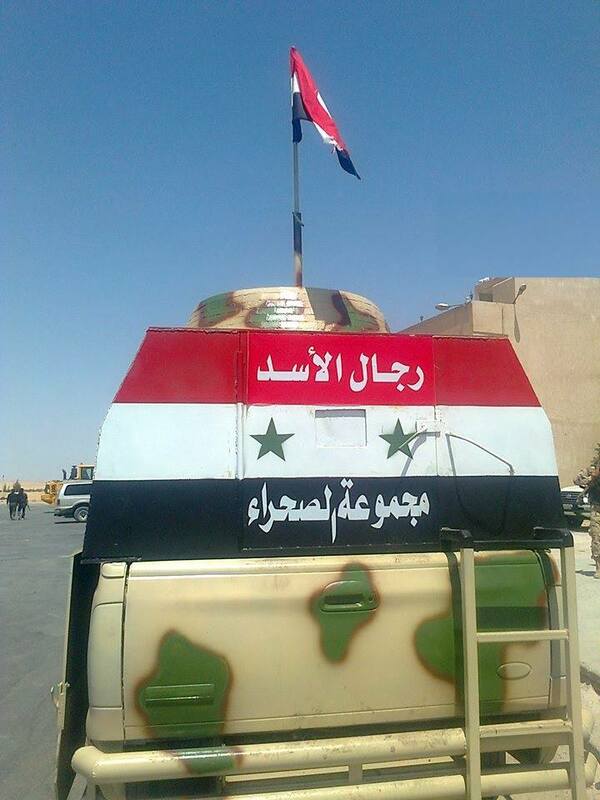 Note that this locality is in the desert area of Homs governorate near Sadad, corroborating El-Nashra's report on the Desert Falcons' areas of operation.